Microsoft today announced the launch of a new beta Visual Studio Achievements plug-in for Visual Studio developers to help them discover new features of the application, while making the process “playful and pragmatic”. 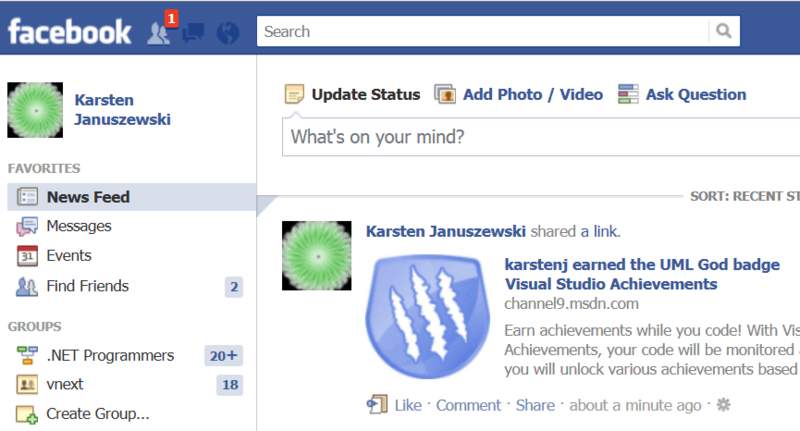 It is a free plug-in which works a lot like Xbox game play, allowing developers to unlock achievements and badges in the same way Xbox users unlock game achievements. 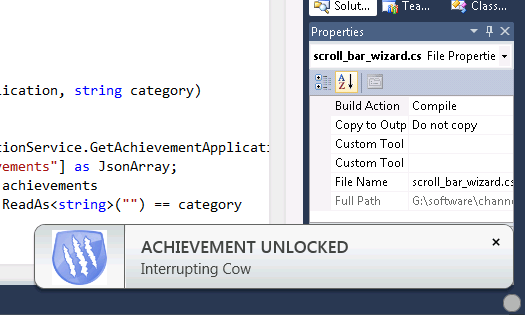 The developer, if and when he triggers some event in Visual Studio will receive a pop-up called “achievement unlocked”. Developers can compete with each other on a virtual leader board through this plug-in, and get bragging rights for as many achievements they unlock.